2006 Honda Civic 2D Coupe WhiteLocated right off Highway 111 at Perez Rd. In the Cathedral City Auto-mall. We offer free door to door shuttle service in the valley as well as a family oriented staff and atmosphere. 2.4L I4 DOHC i-VTEC 16V 5-Speed Automatic with Overdrive 23/34 City/Highway MPG LX 2.4 Honda Accord 4D Sedan GrayGray Cloth.Awards: * Car and Driver 10 Best Cars * 2012 IIHS Top Safety Pick * 2012 KBB.com Brand Image Awards2016 Kelley Blue Book Brand Image Awards are based on the Brand Watch(tm) study from Kelley Blue Book Market Intelligence. Award calculated among non-luxury shoppers. For more information, visit www.kbb.com. Kelley Blue Book is a registered trademark of Kelley Blue Book Co., Inc.Car and Driver, January 2017.Reviews: * The 2012 Accord Sedan combines outstanding value, excellent driving dynamics, a roomy and comfortable passenger cabin, and sporty styling vaguely similar to some BMW sedans. If your budget says simple family sedan, but your brain says I deserve better, you'll probably find the Accord sedan can satisfy both needs. 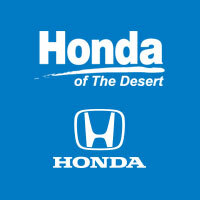 Source: KBB.comLocated right off HWY 111 in the Cathedral City Auto Center.WHY TOYOTA OF THE DESERT? At Toyota of The Desert, we only stock the very best Toyota pre-owned and Certified Pre-Owned vehicles as well as high quality, select brands from other car companies into our inventory. We have a staff of on-site buyers and regional buyers dedicated to acquiring cars and trucks that fit your particular and exclusive needs and at prices you'll love! Then, we recondition those vehicles to strict dealership and manufacturer specifications. Additionally, we work with all credit and financial situations and do our absolute best to find a vehicle that fits every individual's unique lifestyle.Our sales staff is non-commission! That means we re interested in helping to find the right vehicle for you, regardless of price. CARFAX One-Owner. 2015 Honda Accord 2D Coupe Reviews: * Simple operation, great reliability and high resale value are obvious attractors to the Accord. But you may be surprised at the extent of its lineup, which ranges from an economical sedan to a V6-powered coupe or a hybrid rated up to 50 mpg. It's hard to go wrong in any of them. Source: KBB.com * The Accord Coupe has always been the sporty option for those looking for the reliability and value that Honda provides. The Accord is synonymous with Honda and has been known for nearly four decades as a reliable, comfortable, pragmatic way to move families. What began as a 2-door hatchback in 1976 has grown into today's full-size sedan and coupe. Like the rest of the car, the 2015 Accord's 5-passenger interior is a pleasing step forward. The cabin boasts soft-touch materials for a quality feel. The front seats are comfortable, and the driver's seat actually toned down the lumbar support. The rear seats have even more room, as does the trunk. Sleek, rippled sheet metal defines a more streamlined exterior that has shrunk around an interior that feels roomier than previous generations. The most surprising thing about the Accord is its refined continuously variable transmission (CVT). Mated to the 4-cylinder, this CVT feels much like a normal automatic, mimicking gear changes. Even a base Accord has good power for acceleration and passing, yet attains an impressive mileage on the highway. Move up to a V6 model with 6-speed automatic transmission, and the Accord is downright quick. If you want a hassle-free, pleasing family car with a reputation for quality and an immediate familiarity, you can't go wrong with the Accord. Source: The Manufacturer Summary * Roomy and high-quality interior; refined and efficient powertrains; quick acceleration; responsive handling; generous standard features; available coupe body style. Source: EdmundsLocated right off Highway 111 at Perez Rd. In the Cathedral City Auto-mall. We offer free door to door shuttle service in the valley as well as a family oriented staff and atmosphere. Awards: * 2015 IIHS Top Safety Pick * 2015 KBB.com Brand Image Awards2016 Kelley Blue Book Brand Image Awards are based on the Brand Watch(tm) study from Kelley Blue Book Market Intelligence. Award calculated among non-luxury shoppers. For more information, visit www.kbb.com. Kelley Blue Book is a registered trademark of Kelley Blue Book Co., Inc.Reviews: * Simple operation, great reliability and high resale value are obvious attractors to the Accord. But you may be surprised at the extent of its lineup, which ranges from an economical sedan to a V6-powered coupe or a hybrid rated up to 50 mpg. It's hard to go wrong in any of them. Source: KBB.com * What began as a 2-door hatchback in 1976 has grown into today's full-size sedan. Like the rest of the car, the Accord's 5-passenger interior is a pleasing step forward. The cabin boasts soft-touch materials for a quality feel. The front seats are comfortable, and the driver's seat actually toned down the lumbar support. The rear seats have even more room, as does the trunk. Sleek, rippled sheet metal defines a more streamlined exterior that has shrunk around an interior that feels roomier than previous generations. The most surprising thing about the Accord is its refined continuously variable transmission (CVT). Mated to the 4-cylinder, this CVT feels much like a normal automatic, mimicking gear changes. Even a base Accord has good power for acceleration and passing, yet attains an impressive mileage on the highway. Move up to a V6 model with 6-speed automatic transmission, and the Accord is downright quick. For the individual looking to consume less the Accord comes as a Hybrid as well. This operates on a 141hp 2.0-liter, 16-valve i-VTEC 4-cylinder engine and a 55hp lithium-ion battery pack for a net hp of 196. The Hybrid can achieve ratings of 50 cty and 46 hwy. To help maximize efficiency, the Accord Hybrid seamlessly shifts between three distinct drive modes: EV Drive, Hybrid Drive and Engine Drive. EV Drive is 100% electric, and generally is used during braking and when starting from a stop. Hybrid Drive uses the fuel engine and electric motor to provide extra zip during acceleration, and once your Accord Hybrid is cruising with highway efficiency, Engine Drive takes over. If you want a hassle-free, pleasing family car with a reputation for quality and an immediate familiarity, you can't go wrong with the Accord. Source: The Manufacturer Summary * Roomy and high-quality interior; refined and efficient powertrains; quick acceleration; responsive handling; generous standard features; available coupe body style. Source: EdmundsLocated right off HWY 111 in the Cathedral City Auto Center.WHY TOYOTA OF THE DESERT? At Toyota of The Desert, we only stock the very best Toyota pre-owned and Certified Pre-Owned vehicles as well as high quality, select brands from other car companies into our inventory. We have a staff of on-site buyers and regional buyers dedicated to acquiring cars and trucks that fit your particular and exclusive needs and at prices you'll love! Then, we recondition those vehicles to strict dealership and manufacturer specifications. Additionally, we work with all credit and financial situations and do our absolute best to find a vehicle that fits every individual's unique lifestyle.Our sales staff is non-commission! That means we're interested in helping to find the right vehicle for you, regardless of price. CARFAX One-Owner. 2015 Honda Civic 4D Sedan Reviews: * For 2015, the Honda Civic remains the act to beat, thanks to its strong reliability, safety, comfort and resale value. Whether you're looking for a practical sedan, a sporty coupe, a frugal hybrid, or an ultra-clean compressed natural gas (CNG) model, there is a Civic to meet almost any demand. Source: KBB.com * The Honda Civic is back to rest the critics of the past. Whichever Civic you choose, you'll find the technology and refinement to make the journey more exciting than the destination. A new front grille and headlights adorn the front end, while new taillights help you stand out from behind. Add to that its wheel options and you've got the sleekest Civic yet. The 1.8L i-VTEC engine uses state of the art engineering technology to produce an impressive 143hp, yet it still receives excellent fuel-efficiency ratings and a Partial Zero-Emission Vehicle rating, all on regular gasoline. The continuously variable transmission allows the engine to always operate at the most efficient rpm level, enabling maximum efficiency under all driving conditions. There is also a Hybrid available with 44cty/47 hwy MPG ratings as well as the performance minded Si with a 205hp engine. Interior features include an impressive array of available tech features including an available 7-inch display audio with a touch-screen interface; the Honda LaneWatch system which activates a tiny camera on the passenger side mirror when you signal to change lanes to cover more view than the passenger-side mirror; HondaLink's Aha app allows you to access news, social media, restaurant searches, internet radio, and more; a rearview camera is available with up to 3 available angles to view; Satellite navigation is also available with voice recognition software. The Advanced Compatibility Engineering II body design utilizes a network of connected structural elements to distribute crash energy more evenly throughout the front of the vehicle and more evenly disperse the forces transferred to other vehicles in a crash. Source: The Manufacturer Summary * Comfortable and composed ride; good fuel economy; spacious interior; wide variety of engines available; available coupe body style. Source: EdmundsLocated right off Highway 111 at Perez Rd. In the Cathedral City Auto-mall. We offer free door to door shuttle service in the valley as well as a family oriented staff and atmosphere. CARFAX One-Owner. 2016 Honda Fit 4D Hatchback Gray Reviews: * Unmatched small car versatility thanks to unique rear seat design; high fuel economy; spacious seating and cargo area; excellent visibility. Source: EdmundsLocated right off Highway 111 at Perez Rd. In the Cathedral City Auto-mall. We offer free door to door shuttle service in the valley as well as a family oriented staff and atmosphere. CARFAX One-Owner. 2016 Honda Civic 4D Sedan Taffeta WhiteLocated right off Highway 111 at Perez Rd. In the Cathedral City Auto-mall. We offer free door to door shuttle service in the valley as well as a family oriented staff and atmosphere. Recent Arrival! 2015 Honda Civic 4D Sedan Reviews: * For 2015, the Honda Civic remains the act to beat, thanks to its strong reliability, safety, comfort and resale value. Whether you're looking for a practical sedan, a sporty coupe, a frugal hybrid, or an ultra-clean compressed natural gas (CNG) model, there is a Civic to meet almost any demand. Source: KBB.com * The Honda Civic is back to rest the critics of the past. Whichever Civic you choose, you'll find the technology and refinement to make the journey more exciting than the destination. A new front grille and headlights adorn the front end, while new taillights help you stand out from behind. Add to that its wheel options and you've got the sleekest Civic yet. The 1.8L i-VTEC engine uses state of the art engineering technology to produce an impressive 143hp, yet it still receives excellent fuel-efficiency ratings and a Partial Zero-Emission Vehicle rating, all on regular gasoline. The continuously variable transmission allows the engine to always operate at the most efficient rpm level, enabling maximum efficiency under all driving conditions. There is also a Hybrid available with 44cty/47 hwy MPG ratings as well as the performance minded Si with a 205hp engine. Interior features include an impressive array of available tech features including an available 7-inch display audio with a touch-screen interface; the Honda LaneWatch system which activates a tiny camera on the passenger side mirror when you signal to change lanes to cover more view than the passenger-side mirror; HondaLink's Aha app allows you to access news, social media, restaurant searches, internet radio, and more; a rearview camera is available with up to 3 available angles to view; Satellite navigation is also available with voice recognition software. The Advanced Compatibility Engineering II body design utilizes a network of connected structural elements to distribute crash energy more evenly throughout the front of the vehicle and more evenly disperse the forces transferred to other vehicles in a crash. Source: The Manufacturer Summary * Comfortable and composed ride; good fuel economy; spacious interior; wide variety of engines available; available coupe body style. Source: EdmundsLocated right off Highway 111 at Perez Rd. In the Cathedral City Auto-mall. We offer free door to door shuttle service in the valley as well as a family oriented staff and atmosphere. CARFAX One-Owner. 2016 Honda Civic 4D Sedan WhiteLocated right off Highway 111 at Perez Rd. In the Cathedral City Auto-mall. We offer free door to door shuttle service in the valley as well as a family oriented staff and atmosphere. CARFAX One-Owner. Recent Arrival! 2015 Honda Civic 4D Sedan White Reviews: * For 2015, the Honda Civic remains the act to beat, thanks to its strong reliability, safety, comfort and resale value. Whether you're looking for a practical sedan, a sporty coupe, a frugal hybrid, or an ultra-clean compressed natural gas (CNG) model, there is a Civic to meet almost any demand. Source: KBB.com * The Honda Civic is back to rest the critics of the past. Whichever Civic you choose, you'll find the technology and refinement to make the journey more exciting than the destination. A new front grille and headlights adorn the front end, while new taillights help you stand out from behind. Add to that its wheel options and you've got the sleekest Civic yet. The 1.8L i-VTEC engine uses state of the art engineering technology to produce an impressive 143hp, yet it still receives excellent fuel-efficiency ratings and a Partial Zero-Emission Vehicle rating, all on regular gasoline. The continuously variable transmission allows the engine to always operate at the most efficient rpm level, enabling maximum efficiency under all driving conditions. There is also a Hybrid available with 44cty/47 hwy MPG ratings as well as the performance minded Si with a 205hp engine. Interior features include an impressive array of available tech features including an available 7-inch display audio with a touch-screen interface; the Honda LaneWatch system which activates a tiny camera on the passenger side mirror when you signal to change lanes to cover more view than the passenger-side mirror; HondaLink's Aha app allows you to access news, social media, restaurant searches, internet radio, and more; a rearview camera is available with up to 3 available angles to view; Satellite navigation is also available with voice recognition software. The Advanced Compatibility Engineering II body design utilizes a network of connected structural elements to distribute crash energy more evenly throughout the front of the vehicle and more evenly disperse the forces transferred to other vehicles in a crash. Source: The Manufacturer Summary * Comfortable and composed ride; good fuel economy; spacious interior; wide variety of engines available; available coupe body style. Source: EdmundsLocated right off Highway 111 at Perez Rd. In the Cathedral City Auto-mall. We offer free door to door shuttle service in the valley as well as a family oriented staff and atmosphere. CARFAX One-Owner. Recent Arrival! 2016 Honda Civic 4D SedanLocated right off Highway 111 at Perez Rd. In the Cathedral City Auto-mall. We offer free door to door shuttle service in the valley as well as a family oriented staff and atmosphere. CARFAX One-Owner. 2016 Honda Civic 4D SedanLocated right off Highway 111 at Perez Rd. In the Cathedral City Auto-mall. We offer free door to door shuttle service in the valley as well as a family oriented staff and atmosphere. CARFAX One-Owner. 2016 Honda Civic 4D Sedan SilverLocated right off Highway 111 at Perez Rd. In the Cathedral City Auto-mall. We offer free door to door shuttle service in the valley as well as a family oriented staff and atmosphere. CARFAX One-Owner. Recent Arrival! 2014 Honda Civic 4D Sedan Reviews: * With its reputation for reliability, safety, comfort and excellent resale still intact, the 2014 Honda Civic remains one of the best small-car values around. Be it the standard sedan, sporty coupe, racy Si trim, frugal hybrid or ultra-clean CNG model, there is a Civic to meet almost any demand. Source: KBB.com * Redesigned for 2014 the Honda Civic is back to rest the critics of the past. Whichever Civic you choose, you'll find the technology and refinement to make the journey more exciting than the destination. A new front grille and headlights adorn the front end, while new taillights help you stand out from behind. Add to that its wheel options and you've got the sleekest Civic yet. The 1.8L, single overhead camshaft, aluminum-alloy i-VTEC 4-cylinder engine uses state of the art engineering technology to produce an impressive 143hp, yet it still receives excellent fuel-efficiency ratings and a Partial Zero-Emission Vehicle rating, all on regular gasoline. Honda's new Earth Dreams continuously variable transmission (CVT) provides an outstanding driving experience. The CVT allows the engine to always operate at the most efficient rpm level, enabling maximum efficiency under all driving conditions. Interior features include an impressive array of available tech features including an available 7-inch display audio with a touch-screen interface; the Honda LaneWatch system which activates a tiny camera on the passenger side mirror when you signal to change lanes to cover more view than the passenger-side mirror; HondaLink's Aha app allows you to access news, social media, restaurant searches, internet radio, and more; a rearview camera is available with up to 3 available angles to view; Satellite navigation is also available with voice recognition software. The Civic's Advanced Compatibility Engineering II body structure is a Honda-exclusive body design that enhances occupant protection and crash compatibility in frontal collisions. The ACE design utilizes a network of connected structural elements to distribute crash energy more evenly throughout the front of the vehicle. This enhanced frontal crash-energy management helps to reduce the forces transferred to the passenger compartment and can help to more evenly disperse the forces transferred to other vehicles in a crash. Source: The Manufacturer SummaryLocated right off Highway 111 at Perez Rd. In the Cathedral City Auto-mall. We offer free door to door shuttle service in the valley as well as a family oriented staff and atmosphere. 1.8L I4 SOHC 16V i-VTEC CVT 30/39mpg** EX Honda Civic 4D SedanWhiteCloth.Awards: * 2015 IIHS Top Safety Pick * 2015 KBB.com 10 Best Sedans Under $25,000 * 2015 KBB.com Best Buy Awards * 2015 KBB.com 10 Best UberX Candidates * 2015 KBB.com 10 Tech-Savviest Cars Under $20,000 * 2015 KBB.com 15 Best Family Cars * 2015 KBB.com 10 Most Affordable Cars * 2015 KBB.com Brand Image Awards2016 Kelley Blue Book Brand Image Awards are based on the Brand Watch(tm) study from Kelley Blue Book Market Intelligence. Award calculated among non-luxury shoppers. For more information, visit www.kbb.com. Kelley Blue Book is a registered trademark of Kelley Blue Book Co., Inc.Reviews: * For 2015, the Honda Civic remains the act to beat, thanks to its strong reliability, safety, comfort and resale value. Whether you're looking for a practical sedan, a sporty coupe, a frugal hybrid, or an ultra-clean compressed natural gas (CNG) model, there is a Civic to meet almost any demand. Source: KBB.comHonda of The Desert has just completed a multi-million dollar renovation including a state-of-the-art, spacious and highly customer interactive Showroom. Vehicle Service Area, Parts and Accessories Boutique, Customer Lounge and New Owner/Vehicle Delivery Center. Featured amenities include: Customer Lounge / Tranquility Area, Complimentary WiFi and high speed data terminals. Exclusive Children's Play Area, Complimentary beverages. Free shuttle service to and from the dealership. Honda CERTIFIED USED, NEW, FIT, CLARITY, CIVIC, ACCORD, CR-V, CRV, PILOT, ODYSSEY CIVIC HATCH, SI, TYPE R. Our sales staff is non-commission! That means we re interested in helping to find the right vehicle for you, regardless of price. CARFAX One-Owner. 2018 Honda Fit 4D HatchbackLocated right off Highway 111 at Perez Rd. In the Cathedral City Auto-mall. We offer free door to door shuttle service in the valley as well as a family oriented staff and atmosphere. CARFAX One-Owner. 2016 Honda Civic 4D Sedan Lunar Silver MetallicLocated right off Highway 111 at Perez Rd. In the Cathedral City Auto-mall. We offer free door to door shuttle service in the valley as well as a family oriented staff and atmosphere. CARFAX One-Owner. Recent Arrival! 2016 Honda Civic 4D Sedan WhiteLocated right off Highway 111 at Perez Rd. In the Cathedral City Auto-mall. We offer free door to door shuttle service in the valley as well as a family oriented staff and atmosphere. CARFAX One-Owner. 2016 Honda Civic 4D Sedan GrayLocated right off Highway 111 at Perez Rd. In the Cathedral City Auto-mall. We offer free door to door shuttle service in the valley as well as a family oriented staff and atmosphere. Recent Arrival! 2016 Honda Civic 4D Sedan WhiteLocated right off Highway 111 at Perez Rd. In the Cathedral City Auto-mall. We offer free door to door shuttle service in the valley as well as a family oriented staff and atmosphere.